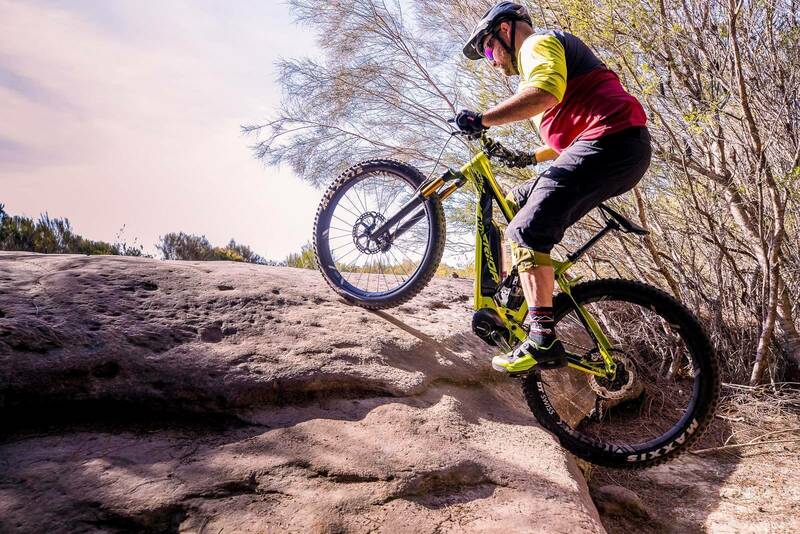 E-bikes, or pedal-assist bikes, are part of cycling now and are increasingly becoming part of mountain biking. See if we can give you a reason to participate. Merida are one of the Taiwanese frame building goliaths, producing bicycle frames for many of their competitors. Their amount of experience in producing aluminium and carbon frames is monumental. Whilst being quite late to the e-MTB party, it is obvious they took their time for good reason. Some great technology is now here, and they could learn from the mistakes of others. 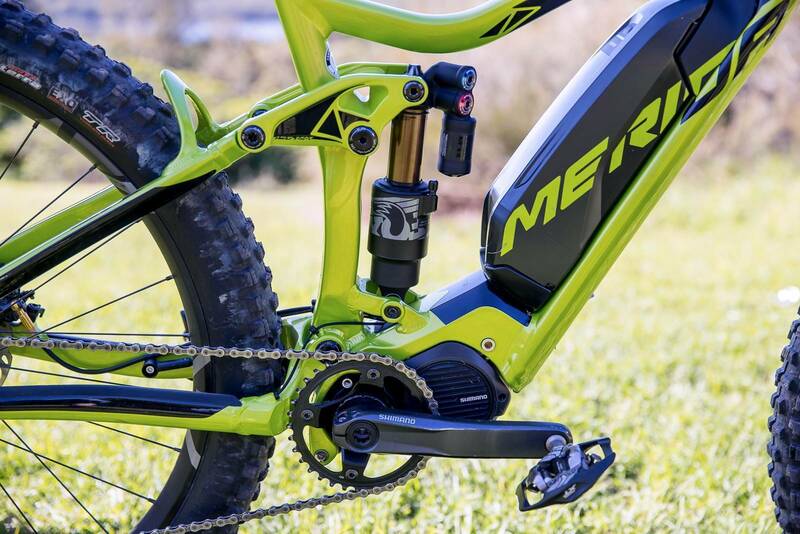 It finally seems there is an e-MTB made solely for those already addicted to a trail bike life of wheels and dirt. 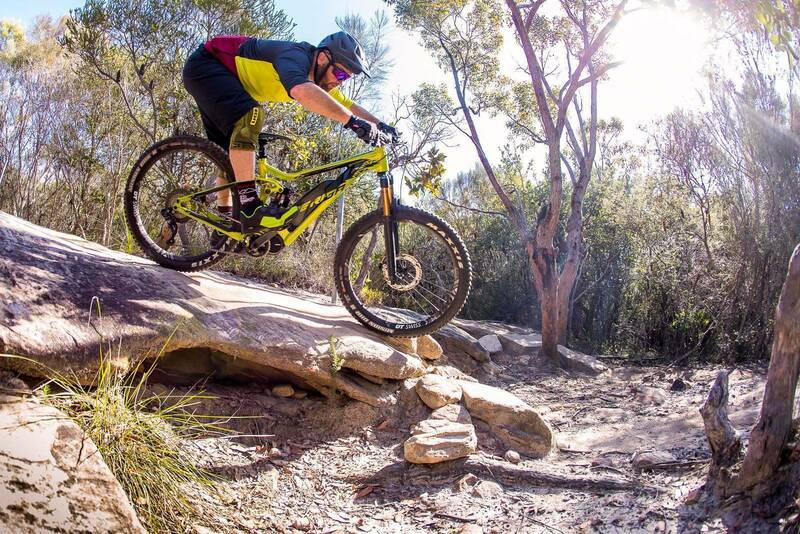 There is no doubting that the introduction of e-MTBs has been a hugely contentious issue, and the debate probably won’t go away any time soon. 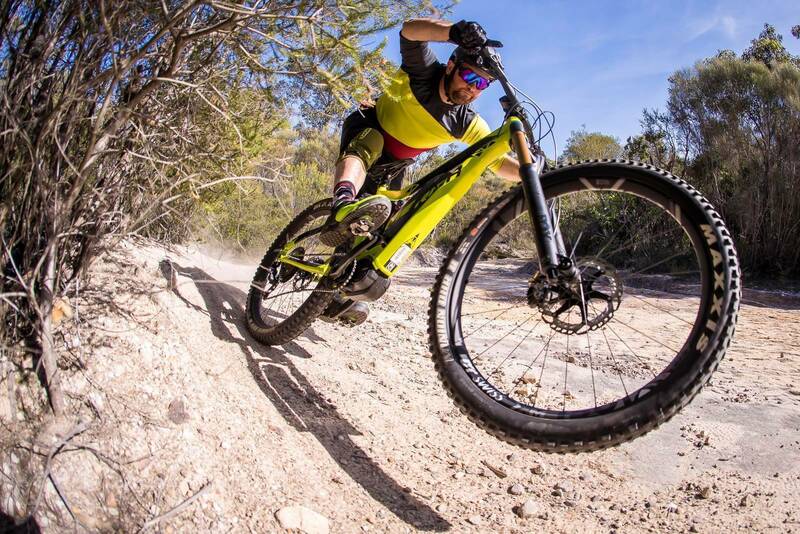 The introduction of suspension, disc brakes, carbon and 29-inch wheels all suffered from resistance in terms of the implementation of new technology. 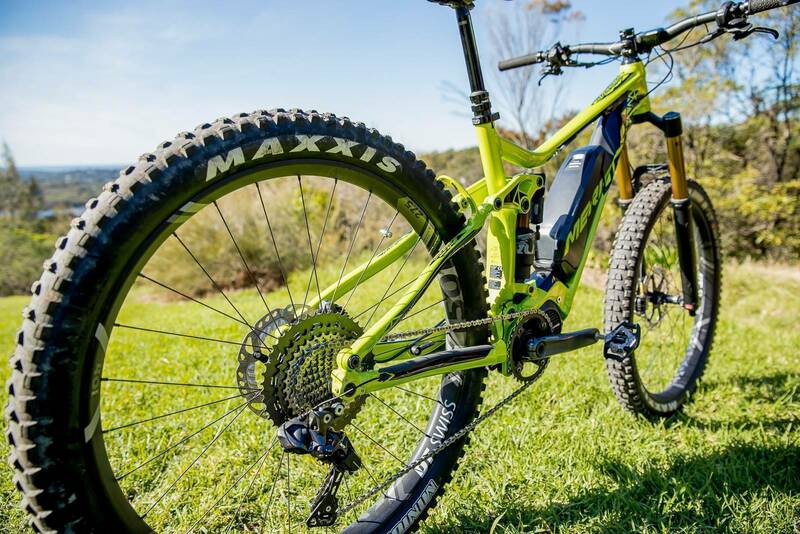 Some were accepted quicker than others - and it looks as though e-MTBs still have a way to go to convince the doubters. 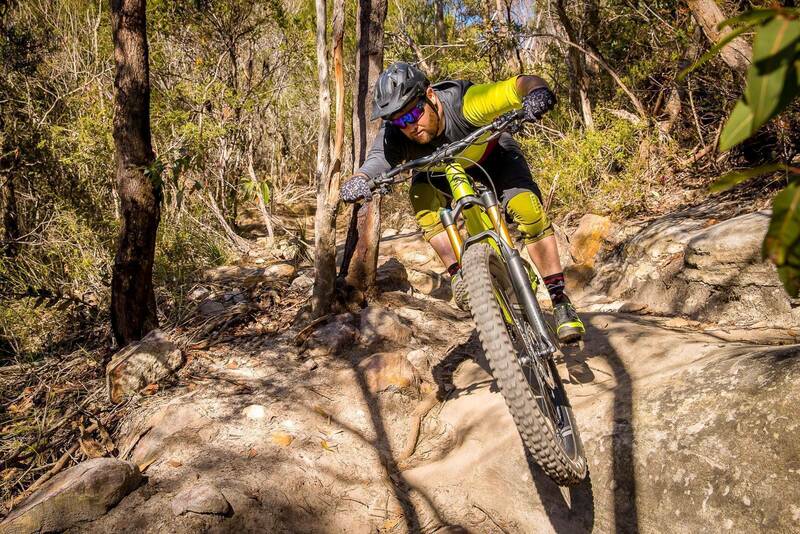 I’m personally a strong believer in electric pedal-assist MTBs and the grin-inducing rides they can deliver. I just think it’s going take time for them to settle within the industry and win over the traditionalists. 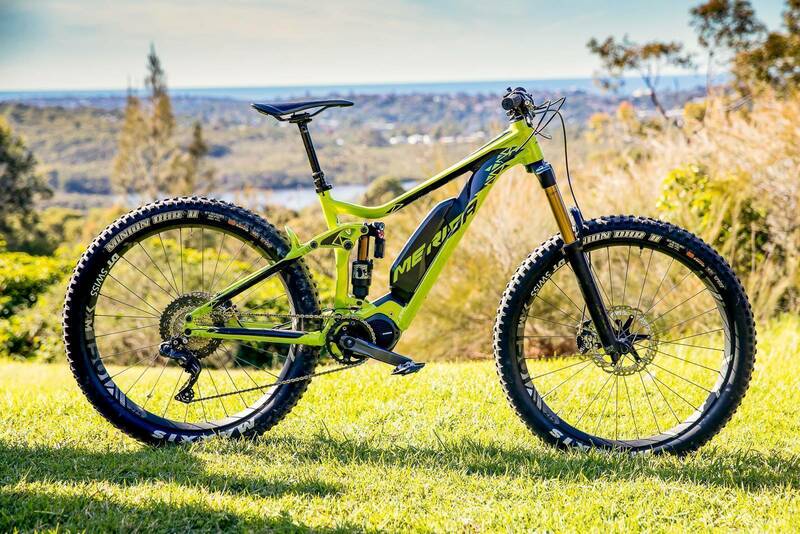 However, if ever there is going to be an e-MTB to start changing the opinions of traditional riders, then the E-One Sixty 900E is one. 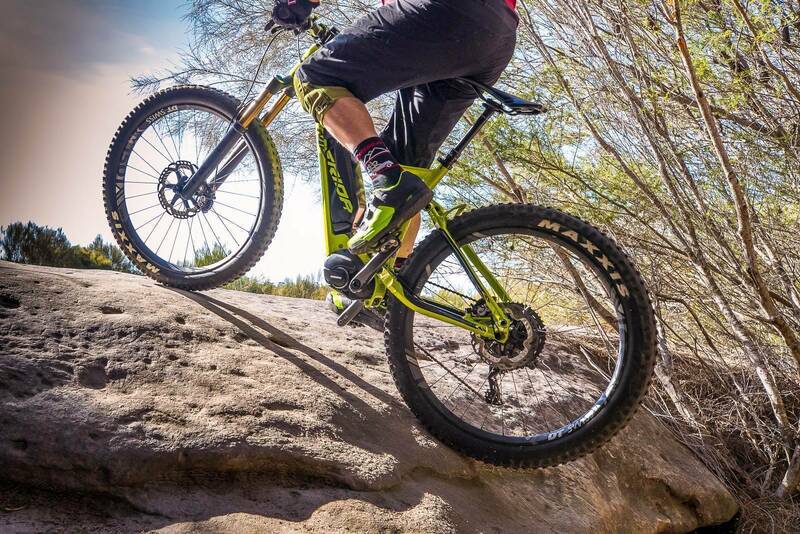 It’s a mountain bikers’ e-bike that’s for sure. It’s definitely not the type of e-MTB your aunt with a bad back is going to cut laps of the local lake on. 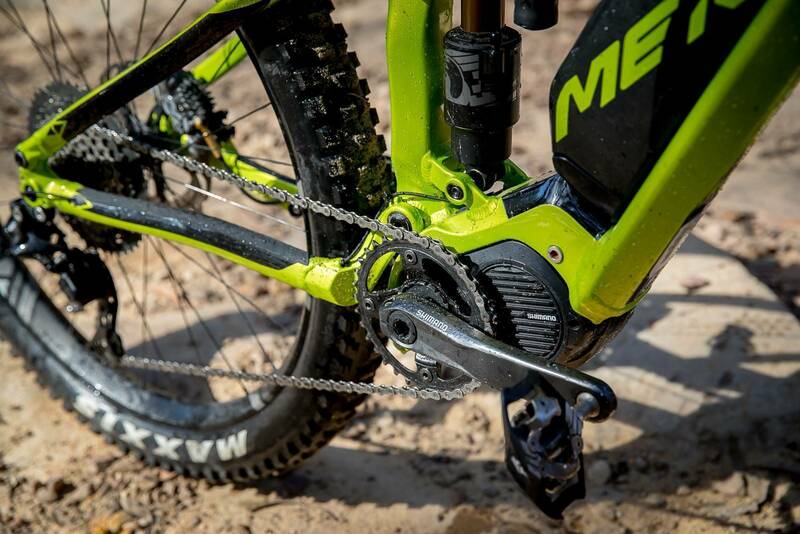 Along with the brand new Shimano E-8000 motor, the Merida E-One Sixty 900E is literally dripping with burly high-end parts. 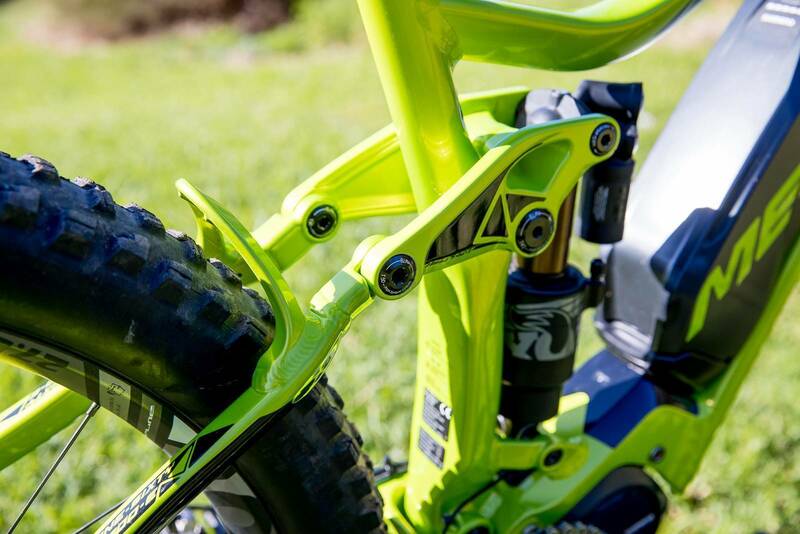 The Fox Factory suspension alone screams at you to ride the bike as hard as possible - with a 160mm Boost Fox 36 Float up front and the very fancy Fox Float X2 taking care of the 150mm rear wheel travel. Shimano parts make up the majority of the remaining spec with an XT Di2 rear mech integrated with the motor’s computer and battery system. 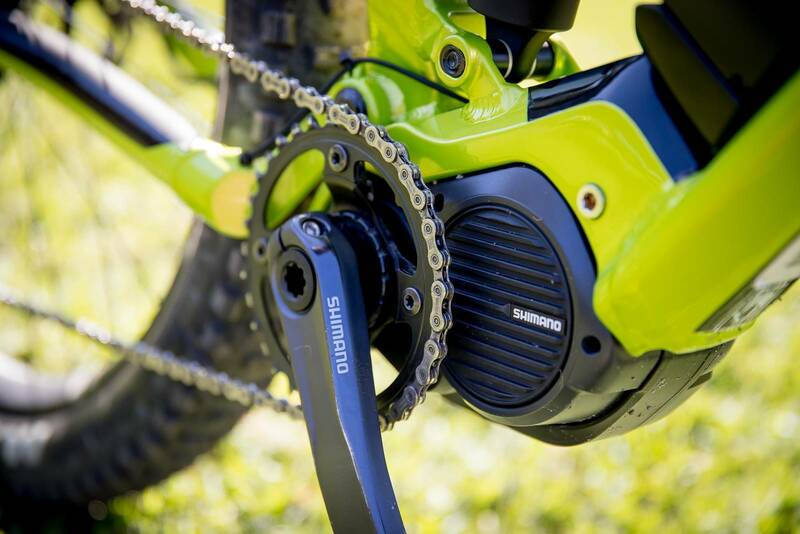 Shimano’s mighty Saint brakes help you to tame the extra weight associated with the battery and motor. The DT Swiss HX1501 boost wheels look great and there is no denying the aggressive look the Maxxis plus tyres give on the wide 35mm rim. 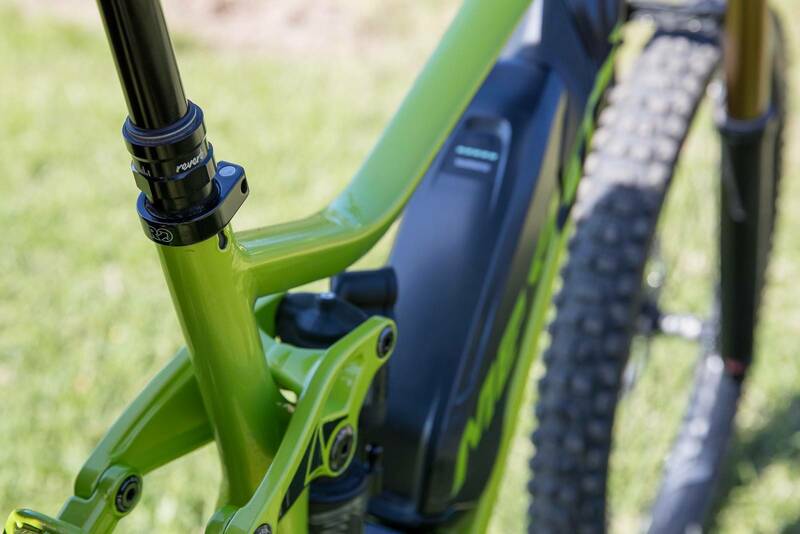 A RockShox Reverb on dropper duties, and a simplistic Merida branded 45mm stem and 760mm bars wrap up the contact points, along with a great Merida branded saddle. 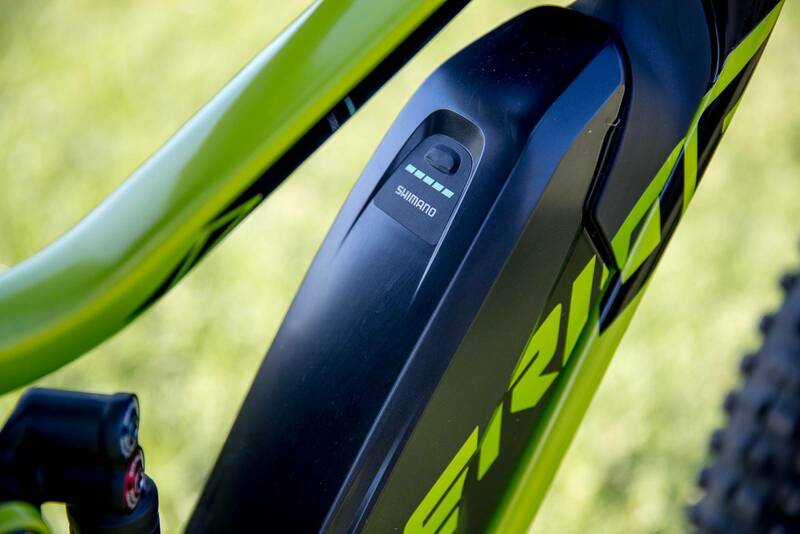 The aluminium frame construction looks superb and the slim downtube has made room for the E-8000’s battery - avoiding the super bulky look most e-MTBs have when they use a generic battery. This in turn gives it a much cleaner aesthetic. 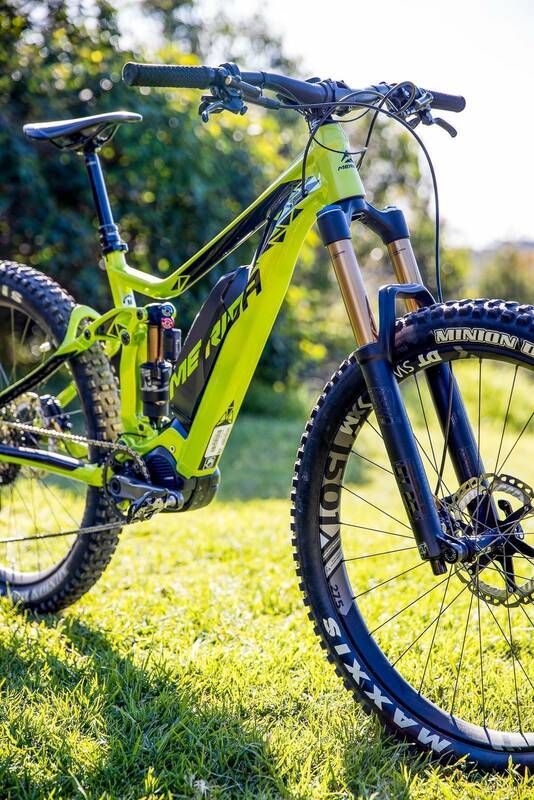 There’s no denying it still very much looks like an e-MTB, and most would argue it’s not as clean as some of the custom batteries manufacturers use to hide within the down tube. But it’s still a great compromise, and brings down costs whilst still maintaining the simplicity of using the generic Shimano battery. It’s key lockable and easy to remove for charging - and it also means a new battery should be easier to get hold of, and probably also a cheaper option if you wish to purchase a second battery. The only thing really missing on the frame is water bottle mounts. 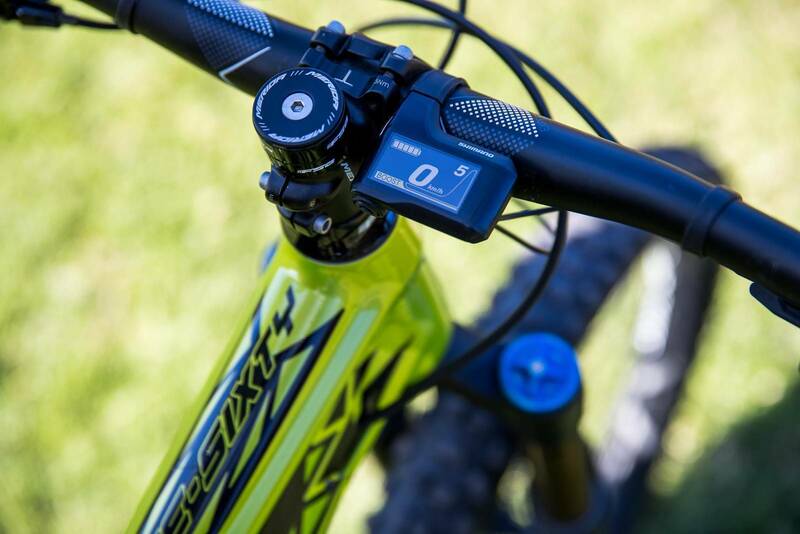 While this is slightly annoying, it’s arguably less important on an e-MTB like this one. Setup with the Shimano Di2 integration was a breeze - just like on a normal Di2, adjustments could be made using the computer head supplied. Therefore, on-the-trail adjustments regarding which shifter paddle does what or emergency tune of the rear mech are much easier than busting out the multi-tool. Shimano does also have a smartphone app that connects via Bluetooth if you wish to get a little more in-depth with the motor settings. The colour screen computer gives you the key information you need - speed, gear, trip distance and odometer to log your overall kilometres. It also has a “guesstimate” for how many kilometres the battery will last in each given power setting, although the accuracy will very much depend on your specific route. For example, a much hillier ride will likely require much more assistance from the motor than doing the same distance on the flat - thus affecting the probable battery time remaining. 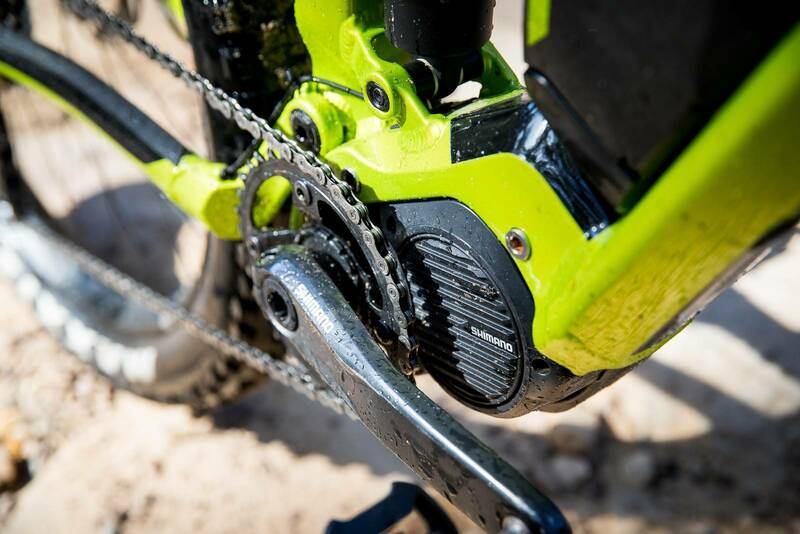 The only real concern I had was for the 175mm Shimano cranks, which are e-bike specific and much longer than we would expect on such a gravity oriented bike. 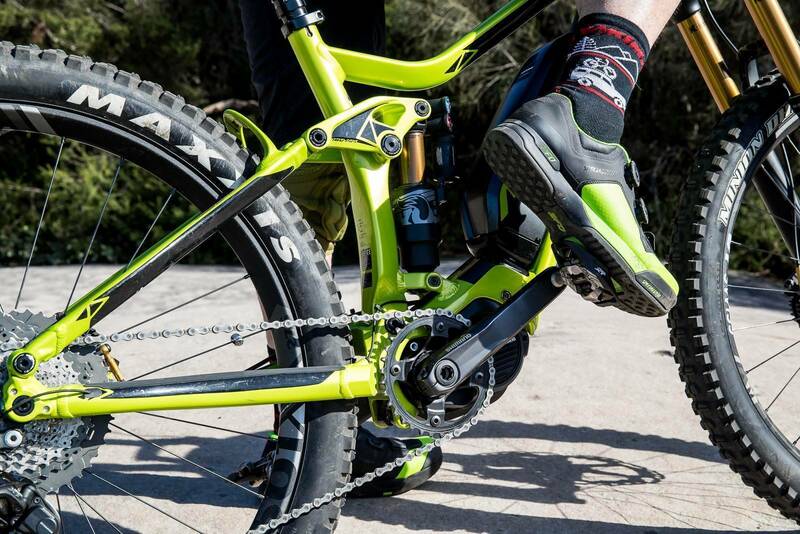 With the pedal assist motor you don’t really need the leverage advantage and with shorter cranks it would mean less pedal strikes when you’re trying to pedal through the rough stuff. 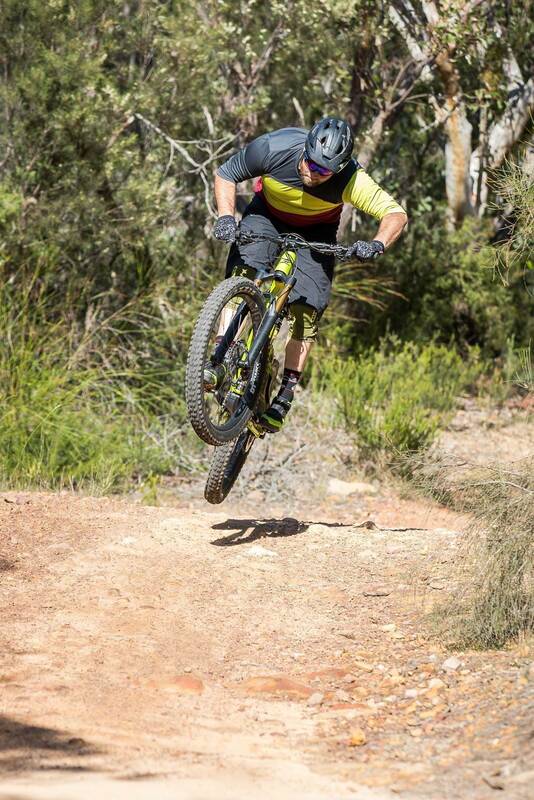 For me the bike felt great instantly and the stance and reach were spot on for my 174cm frame. Initially the Merida branded bars felt like they had an odd sweep, but I did eventually get used to them. I would perhaps swap the bars out for something a little wider and familiar. The 27.5 plus tyres had amazing grip and really help you understand why most e-MTBs come specced with them. With the extra power (and weight) provided by the motor, you need a little help making sure it’s converted to grip and forward motion. 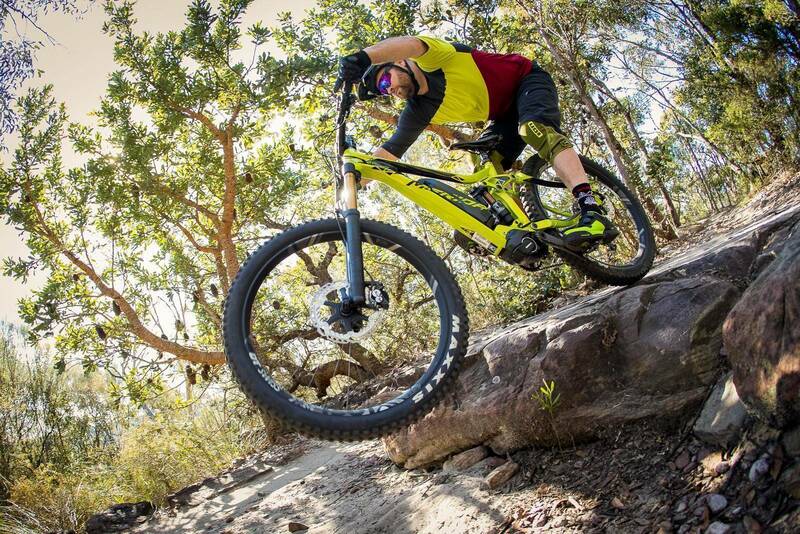 It would be easy to see a regular 27.5” tyre losing traction. You also inevitably hit uphill corners more quickly - so washing out a front tyre is a real possibility. The plus sized tyres helped with this on more than one occasion. The one downfall though was when it came to descending - there is a definite risk factor when you ride aggressively with these tyres. With the bigger bag and wider rim, it certainly is a lot more likely to cause rim damage. The bigger sidewalls just aren’t as stiff and strong, as they are designed to minimize the weight of the obviously much larger tyre. It did cause a couple of issues when things got a little (and in some cases, very) rough. 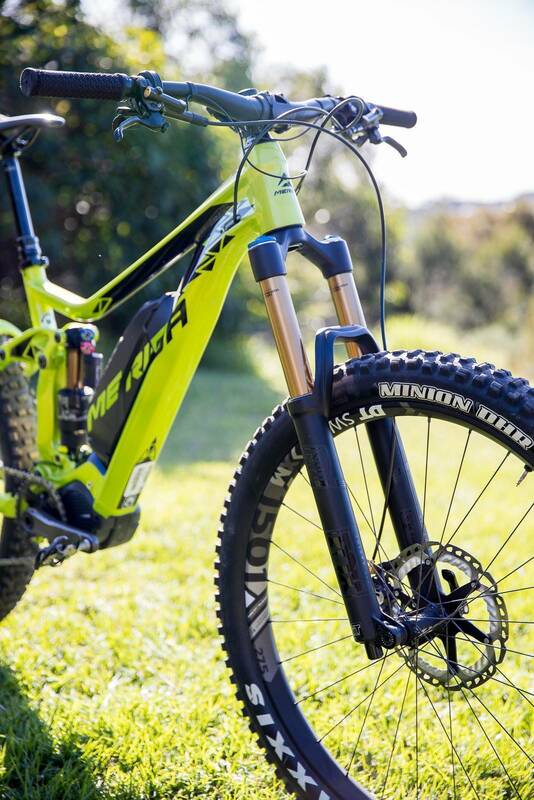 The thing with this bike is that it has all the angles and amazing suspension that excels in rough descents - and this is where I believe e-MTBs like the E-One Sixty really shine. It would be tough work getting this bike to the top of a mountain without a motor and battery. But with them, it was not only easy but exceptionally fun. Any techy uphills were still a challenge to nail, but much more enjoyable with the extra speed. It sure beats jumping in the back seat of a ute with two, three or four sweaty animals for a shuttle run. Then, once descending, the Merida was amazing. The extra weight at first makes you nervous - you’re not sure how much to push - but that eventually fades away as your grin increases. I was ultimately riding this bike at 90-95 per cent compared to my normal bike. The only real thing holding me back was probably tyres, and not wanting to destroy the rims of a test bike. Jumping was also no problem, with the bike sending gaps just like any “normal” non-assited bike. In fact, the extra weight - which is centered low - increased its stability. The Fox Float X2 coped with it all amazingly well with no harsh bottom outs. It’s definitely an advantage to have such a heavy duty shock on a heavy duty bike. The same went for the 160mm Fox 36s up front, they performed admirably. I’d heard they can be a bit of a nightmare to tweak, but I was lucky the bike had come set up perfectly for my weight, build and style of riding. I didn’t even have to change the air pressure. In fairness, and for the sake of ease, you can make the suspension for this bike great for descending and not really worry about pedal performance anywhere near as much. One issue I did have was with the drivetrain. 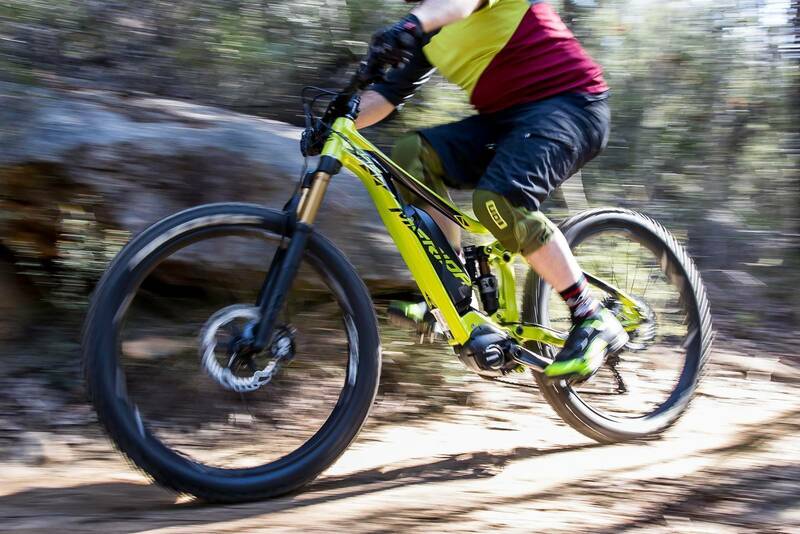 It’s actually really hard to know when to shift with an e-MTB as you have no real direct feedback with your legs as to how much power is going through the drivetrain system. You could be soft pedalling but if it’s inclined at all the chances are the motor is adding its 250 watts. Just like on a normal bike, when you shift under load your chain does not really like it. 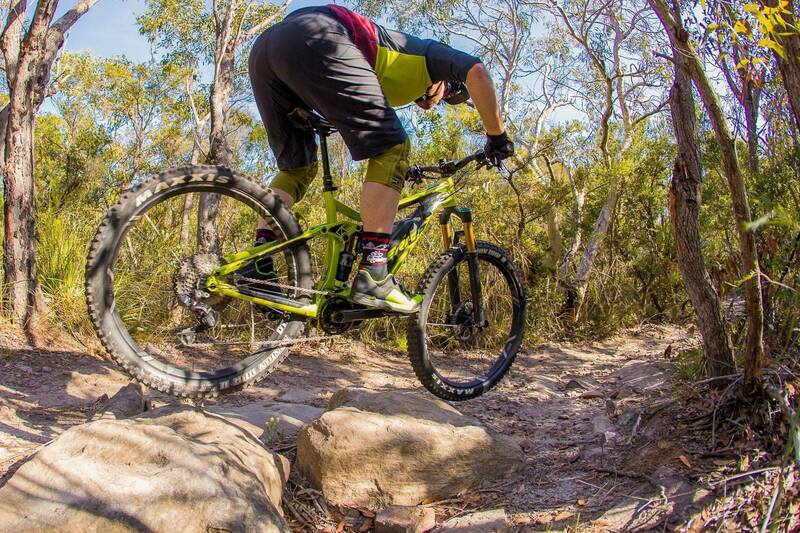 It’s much easier to be unaware of that on an e-MTB and shift when you shouldn’t. You really need to take this into account and make sure you shift before the pinch and not smack in the middle. It just takes a little more focus than on a non-assisted bike, since you normally do it all automatically as your leg’s pressure and fatigue is the power meter. In theory, you could look down at the computer where it does have a power curve, but it’s never that easy. I did manage to break several chains learning this the hard way. 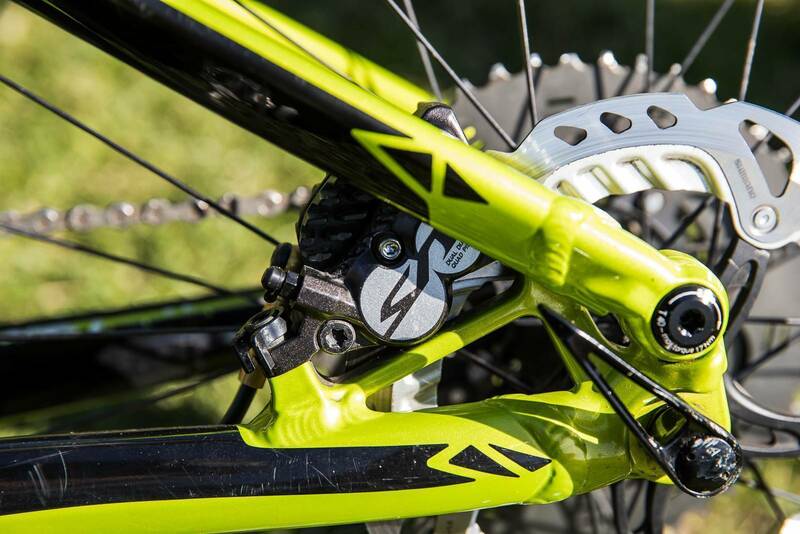 With this in mind you should also be aware your drivetrain will take more of a beating than usual. You will probably go through more chains, cassettes and chainrings than you would on a non-assited bike. 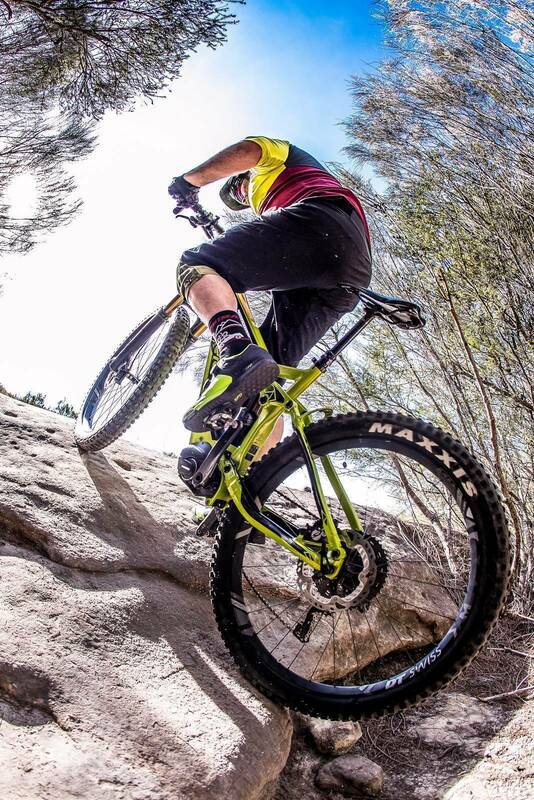 Overall the Merida E-One Sixty was amazing and I had such a fun time doing the test and riding this bike. 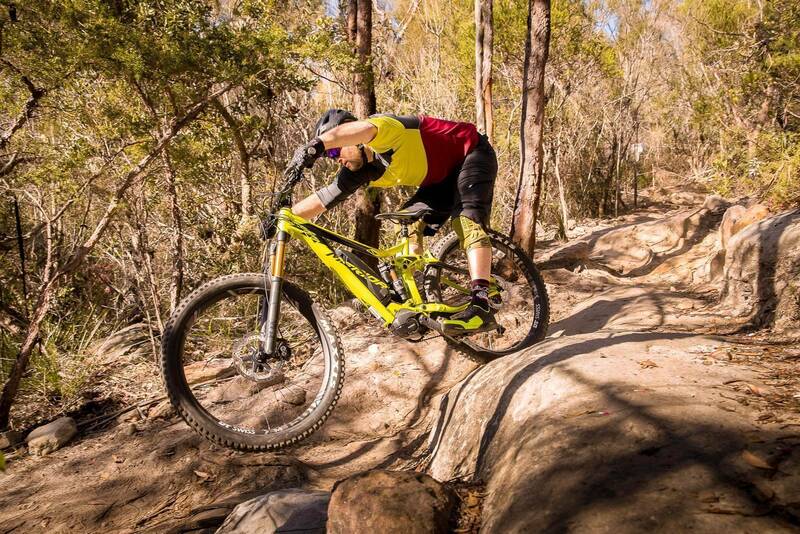 I was lucky enough to use it to help me photograph the EWS in Tasmania and it handled everything there with ease. There is no doubting how much it assisted me to do my job - lugging 20kg worth of gear over three or four days is no easy task. Durability wise, the drivetrain was the only real concern. Whilst I freely admit it may have had a lot to do with the way I rode the bike, it will probably still be an issue for most others. More kilometres, more power, more shifting means more problems and more wear. But I honestly believe the benefits still outweigh the negatives. 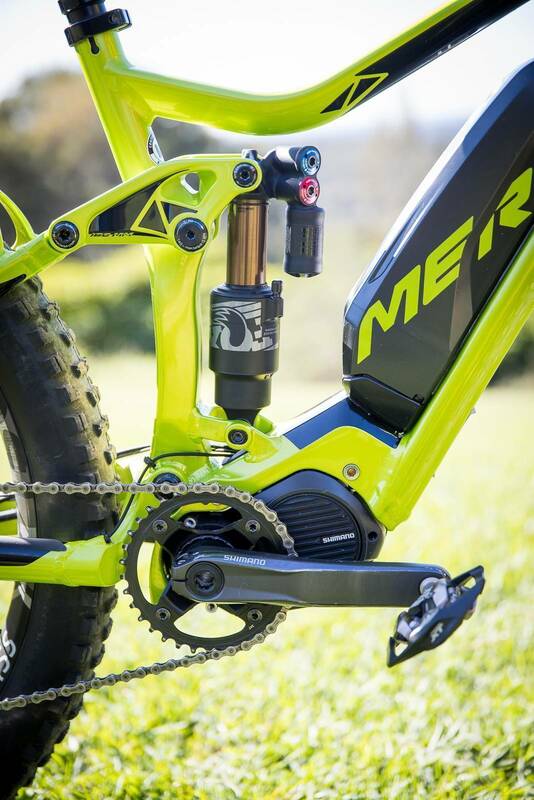 The Merida E-One Sixty will be eye-opening for anyone that does not have legs like Nino Schurter, and wants to descend like Sam Hill. Literally anyone that thinks of themselves as a serious mountain biker will enjoy this bike, and I’d challenge any of them to not crack a smile while blasting up a techy uphill grind. Will they buy one? Most probably won’t. For many reasons ranging from guilt and pride, through to stubbornness and the fear of getting fat. Is it the future? Most likely… for me it’s road bikes for fitness and mountain bikes for fun (or work), with a small amount of crossover. So it totally makes sense. 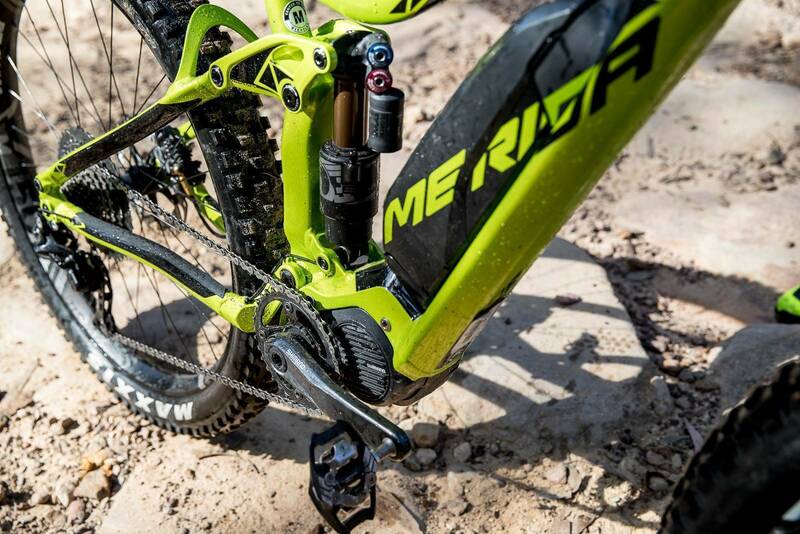 What this Merida is not, though, is an e-MTB for your mum - unless she’s a badass. Then she would love it more than she loves baking you cookies and tucking you in at night.